A Daventry sports park is set to be given a £450,000 council cash windfall to improve its facilities. 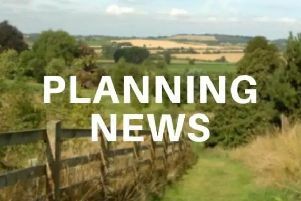 The Stefen Hill Sports Ground, which plays host to five clubs including Daventry Amateur Athletic Club, is set to benefit from the Daventry District Council grant if its proposals are given planning permission by the same authority. The works will include the completion of a six lane all weather synthetic track including steeple chase, new long jump and pole value synthetic run up outside tracks, a new throwing cage including anchor points for disabled throws and floodlighting for the track. The proposal also seeks to replace the existing Portacabin, which serves as a clubhouse, and improve disabled access. Fencing would be installed around the perimeter of the facilities and running track, which is a requirement for safeguarding that would allow the Athletic Club to be accredited to UK Athletics. The District Council owns the land at Stefen Hill and granted a 75 year lease to the Daventry and District Sports Trust that runs until 2048. The Trust approached the council, alongside the Athletic Club, to ask for financial support for the upgrade to provide a ‘modern and vibrant sports club for the people of Daventry and the surrounding area’. Councillors are set to agree on Thursday night to recommend that the full amount is granted to the Trust, subject to completion of a suitable agreement. This figure includes all costs associated with the works plus a 20 per cent contingency and the money, which would be taken from the Strategic Infrastructure Fund, would be drawn down against submitted invoices on actual spend. Maria Taylor, community manager at the council, writes in a report to councillors: “There is a clear need for the local sporting community to be able to access a high quality training facility close to their home location and also the wider sporting community, therefore showcasing, and increasing footfall within the town. Since 2015 the Trust has completed an upgrade of the clubroom and terrace facilities as well as building new toilets and changing rooms.